Hello. 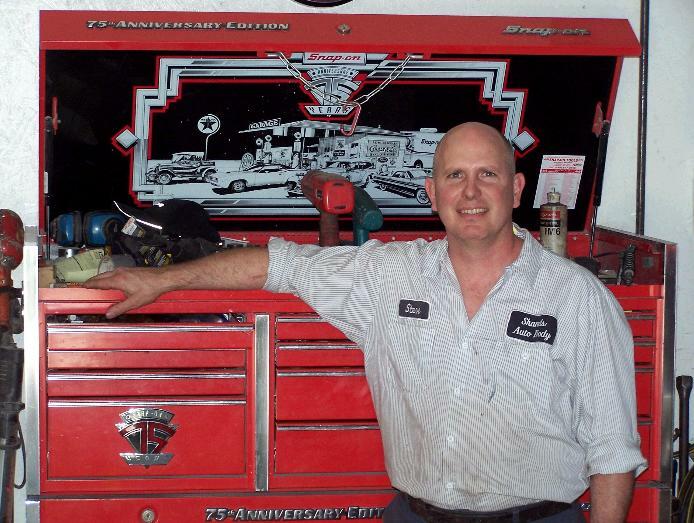 I have owned and operated Shands Auto Body since 1988, right here in Otisville, Michigan. It is my goal to provide you with high quality paint and repair service in a timely manner at a reasonable cost. Your vehicle will be cared for and treated as it if were my own. I have been working on cars "all my life". I was a state certified mechanic at the age of 16, and began my career in auto body repair and paint at the same time. After spending many years at various dealerships, I decided it was time to go into business for myself. Shands Auto Body Inc. is operated exclusively by me and my immediate family. For your convience, we offer pick-up and drop-off service for our local customers. Copyright 2010 Shands Auto Body, Inc.. All rights reserved.